PMI, Project Management Institute, is the international non-profit association for advancing the profession of project management. 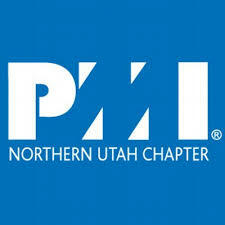 The PMI Northern Utah Chapter is offering three scholarships, $2000, $1000, and $500, to outstanding Utah students who demonstrate an interest in project management. To apply for and be considered for a scholarship, please create and upload a 5 minute or less YouTube video telling a story about a project you have been involved in. • Project Initiation: How did you/the team define your project? • Project Planning: How did you/the team determine what needed to get done and the course of action? • Project Execution: How did you/the team perform the work? • Project Monitoring and Controlling: How did you/the team determine you were on track and how did you manage any issues that came up? • Lessons Learned: Did you/the team gain any knowledge during the project that you can implement in future projects? Please send the below information by email to scholarships@projectmanager.org by 3/15/2019 to be considered. The PMI Utah Northern Chapter Scholarship committee will judge the YouTube video submissions to determine three finalists. If you are selected as a finalist, you will need to submit an official transcript from the school you currently attend. The students chosen as finalists will give a 10-15 minute lunch presentation, including Q&A, on their project at the Professional Development Conference on April 10, 2019. A weighted average vote between the Scholarship Committee and Audience members will determine one grand prize winner who will be awarded $2,000. Second place will be awarded $1,000 and third place will be awarded $500. The winners will be announced on MONTH DAY during lunch. In addition to the scholarship, finalists will also be able to attend the Professional Development Conference and bring one guest free of charge. The reward will be administered by The PMI Education Foundation. The PMI Utah Northern Chapter Scholarship awards will be distributed to the winners through 529 plans through my529 (formally Utah Educational Savings Plan), which is Utah’s official nonprofit 529 college savings program. If a winner does not have a 529 plan set up through my529, one will need to be set up prior to the release of the scholarship and can be done here. The students selected as winners will need to submit their 529 account information no later than 6/20/2019 to remain eligible for scholarship distribution.